Hey everybody! In case you haven’t heard, admission to all National Parks is free this weekend! That also includes National Monuments (like Tent Rocks), National Seashores (Assateague Island), and National Historic Places (Chaco Canyon). 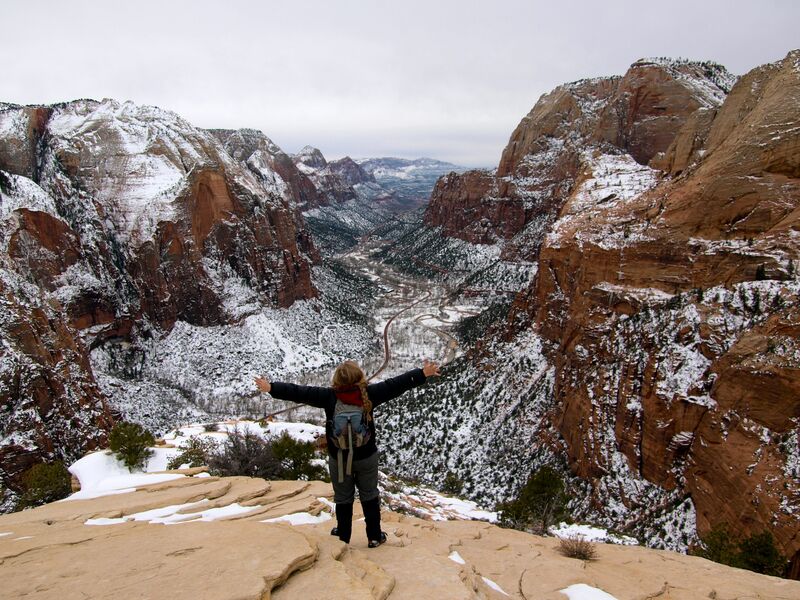 Winter is a great time to visit National Parks! Even if you’ve been before or seen a thousand photos, experiencing a park in winter, under a blanket of snow, adds a new dimension to already iconic landscapes. 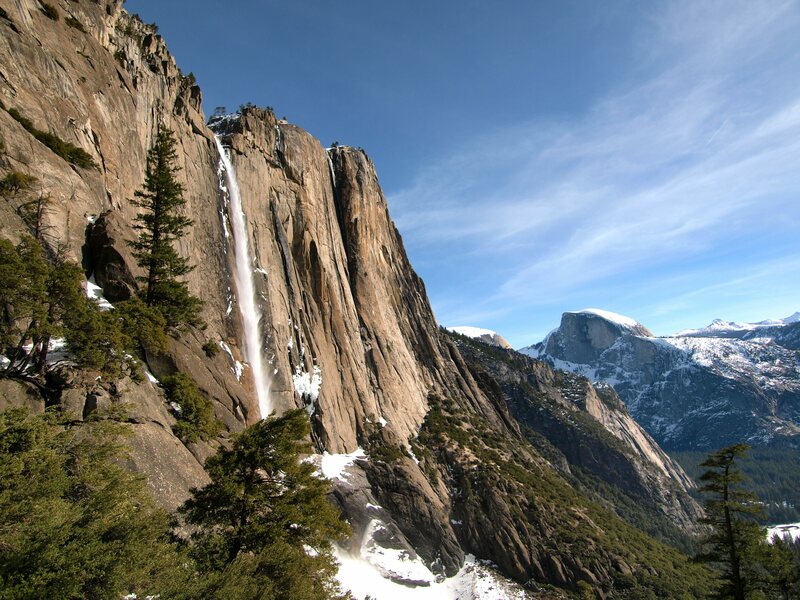 Yosemite Falls & Half Dome in January. The waterfall was turning to snow on the way down and piling in a huge mound at the base. So cool! Admission fees to individual parks often run $20 and up and an America the Beautiful year-long pass is $80. I’ve bought a pass every year since college and I always get my money’s worth. I won’t be going to a National Park this weekend, but I have plans to visit the Taos Pueblo and attend a ranger-led pronghorn antelope ecology hike at the Cerrillos Hills State Park. Stay tuned for posts on both! 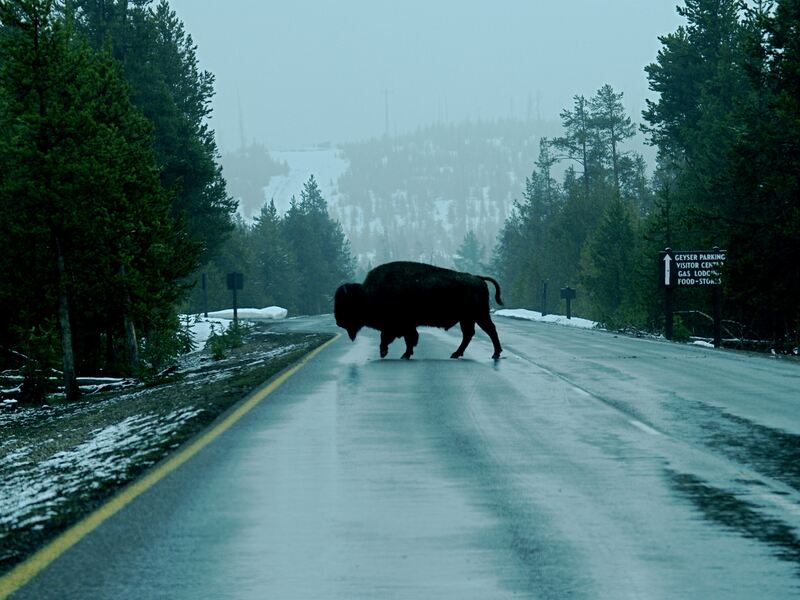 In some parks, you're even more likely to spot wildlife in the winter, like this Bison in Yellowstone, as they often use plowed roads as byways. Drive slow! This entry was posted in Hiking!, Photography, Road tripping!, Vagabonding 101 and tagged free weekend, National Parks. Bookmark the permalink. 2 Responses to Free National Park Weekend! Beautiful photos again; I love the shadowy bison. Very nice. Thanks! I think he looks prehistoric, like a dinosaur crossing the road.